Hi, Sassy friends, and welcome to our challenge for this week. We loved seeing all of your creations in our snow challenge... so we are sending a huge 'thanks' to all of you for joining in with us. Seems like so many we visited this week are anxiously awaiting the snow season to disappear and counting the days 'til Spring (and counting, and counting!). Linda C! Congratulations to you, Linda. 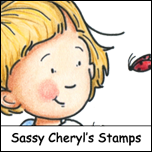 Just email Sassy Cheryl to arrange for your $5.00 gift certificate to her shop. Happy shopping to you! 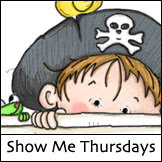 This week our challenge theme is "Buttons and Bows" as set by our talented hostess, Sassy Ann. It's nice to have Ann back with us after a few weeks of handling lots on her plate... we've missed her and she certainly hasn't lost her mojo after her hiatus. 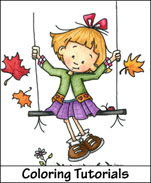 Here's what Ann and the Sassy Gals have created to spark some creativity. Want to join us, friends? We'd love to have you. 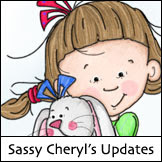 All you have to do is prepare your Sassy Cheryl card or 3-D paper project using a Sassy Cheryl digi, post it to your blog or online gallery, then post that link back here with Mr. Linky. The design team will come by to see your creations and say hello. Got questions? Just let us know. See you then, friends! Have a fantastic week. Look at all these AMAZING cards ladies! Fantastic. Absolutely gorgeous cards girls. This is some incredible inspiration. Such beautiful creations from the DT - amazing coloring too. Some very inspirational creations ladies!!!! Absolutely wonderful cards girls! I'm so excited to be taking part in my first challenge with you all! Thanks ladies for participating in the Buttons & Bows challenge this week! The cards were wonderful. Hope you'll join in the challenge next weeks too!